Ok, VERY rarely do I get excited about toothpaste. Toothpaste is such a bland sort of thing to try out, but I recently received this cute little package, and I just fell in LOVE!!! The toothpaste tube is a dream! I love that it just sits upright on the bathroom counter. 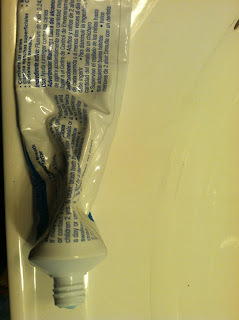 Because this is what my current tube looks like (it actually usually looks much worse with dried toothpaste EVERYWHERE)! But the BEST part is the minty freshness it leaves in your mouth! It makes my mouth feel very clean and fresh, and that feeling lasts for hours! The taste is wonderful (we tried spearmint), and it makes me want to brush my teeth even more. Goodbye messy toothpaste . . . hello, Hello! 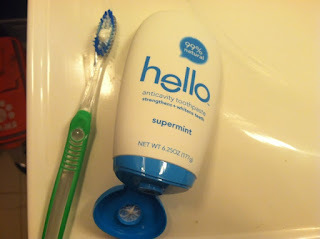 All of the products left a minty freshness and were wonderful to use! 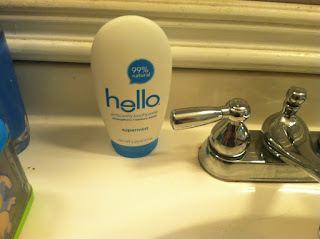 My husband was not too sure about mouthwash that came in a pink package, but once he used it, he fell in love as well! I have to say that the packaging REALLY appealed to my tween as well! They are also available at Walgreen's, Duane Read, and select Target stores, so drop into a store, and treat dad to a beautiful smile this Father's Day! 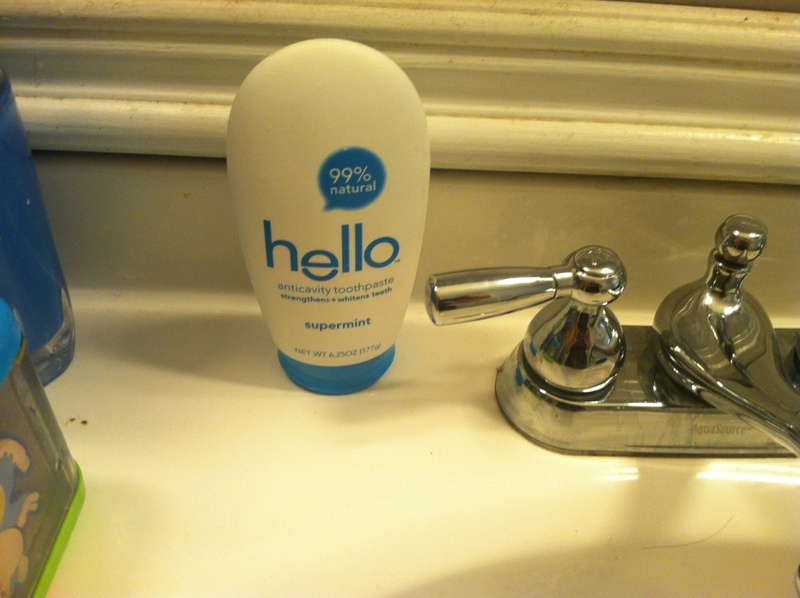 MamaBreak received Hello products to review here on the website. We did not receive any other type of compensation. As always, our opinions and experiences are our own!